The potential of Non Geo-Synchronous Orbiting Satellite constellations is well recognized. This has drawn unprecedented investment from major entities with over two dozen NGOS constellations preparing to launch in the next two years. There are a vast number of applications, many potentially global, enabled by these new LEO and MEO constellations. Teleports, application owners and integrators can take advantage of them — in many cases, with hybrid networks combining GEO constellations, 5G, and 5G LTE-Broadcast (aka, eMBMS) networks. However, there will be inevitable failures and consolidation going forward. Because of shifting technical and price leadership among constellations, antennas and Earth station vendors, it behooves early application builder teams to implement with flexibility to take advantage of, or recover from, these shifts — that is, to launch and go forward with Open Architecture where feasible. These pending satellite constellations bring much higher throughput than the current generation. In addition, speeds on satellite can now match or even exceed fiber by using laser. Several constellations intend to offer laser interconnectivity between satellites. Combined with laser uplink at the source and downlink to local sites or local broadband networks, which effectively provides fiber-speeds end-to-end globally. Fiber offers great speed but has limits: laser has a serious vulnerability to atmospheric disturbances; and, unlike RF, laser is not suitable for multicast of the same large content directly to a multitude of sites or vehicles, even when in line-of-sight. This also argues for RF/laser hybrid networks and error correction capabilities. Delivery of files and live streams from orbiting satellites to moving vehicles is an enticing possibility with these global markets in the offing. However, early testing has exposed the difficulties of transmitting from orbiting satellites to vehicles on the move. Vehicles may intermittently lose signal because they are randomly visible to satellites, on a difficult incline when in sight, traversing tunnels, under overpasses, in urban building canyons, or turned on/off. Success requires an antenna with a flat profile, low power consumption and reliability in delivery, often of encrypted/DRM content, as well as strategies for dealing with the inevitable, intermittent, lost signal issue. Open Architecture strategies — that include forward error correction algorithms and availability simultaneously of multiple wireless network paths via MEO, LEO, LTE, with 1 or more antennas — provide approaches to achieve reliable delivery. The best offerings on the market will likely change over time and between market applications. Applications built with open architecture will better migrate between networks and antenna and terminal offerings, as reliability and price bestow new opportunities over time. Content for smallsat applications will, in many cases, come from Cloud storage, where Open Architecture is more established by the archival community. For example, in the reference model for cloud storage, Open Archival Information System (OAIS)1. Strategies from OAIS (Refreshing, Migration, Replication, Emulation, and more) can be adapted to smallsat network delivery also. Some of the weaknesses of laser networking can be overcome by routing around bad weather, employing forward error correction schemes and/or switching to terrestrial wire/wireless network alternatives whenever necessary. Satellite carriers are currently experimenting with lasers and LTE and other RF networks for these reasons. 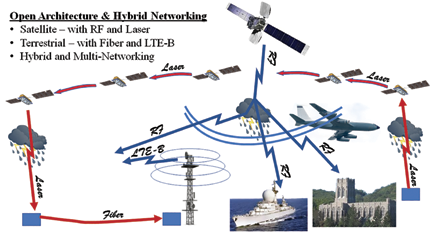 Hybrid network offers the immediate alternative path option as well as the opportunity to more quickly take advantage of breakthroughs that will certainly occur from time to time with flat plate antennas, laser terminals, next generation LTE, satellite modems, and the satellites themselves. KenCast’s Fazzt platform for content delivery is designed to provide the tools content owners, teleports, and integrators need to realize Open Architecture on new HTS Smallsat and GEO constellations. The KenCast Fazzt platform for content delivery supports hybrid networking and Open Architecture. William Steele is Chairman & CEO of KenCast, Inc. Prior to founding the company, he spent 14 years with GTE Corporation; five of those years as General Manager of the GTE ImageSpan company within GTE Spacenet. His experience in the satellite and telecommunications industry includes a position as Vice President of Marketing at the Microband subsidiary of McDonnell- Douglas and Sales Manager at the American Satellite Corporation division of Fairchild. He was an Assistant Professor of Economics at Villanova University and holds a Ph.D. in Economics from New York University. Kepler was founded in 2015 with the mission to build in-space telecommunications infrastructure. By providing connectivity to spaceborne assets, this infrastructure will enable the space economy and allow society to expand into space. All along, Kepler’s strategy has been to develop best-in-class satellite communications technologies that can simultaneously serve the needs of near-term existing markets, and progressively build capacity to deliver upon its ultimate mission; to become the backbone network for space data relay. In January of this year, Kepler launched its first satellite, nicknamed KIPP. Joined on orbit in November by the firm’s second satellite, CASE, these sister satellites are tasked as technology demonstrators for the company’s pole-to-pole wideband store-and-forward data service. In addition to the firm’s wideband connectivity service, Kepler plans to address the Internet of Things (IoT) market with cellular-like, narrowband, bi-directional communications through an ultra-small, low-power, low-cost satellite transceiver. Major tectonic shift are occurring as new capabilities are brought into the satellite broadband market. High-throughput satellites (HTS) systems have completely changed the game. With a single HTS now capable of delivering 10 to 100x the capacity of a broadband satellite, the market for bandwidth is exceptionally competitive. As supply dwarfs demand, bandwidth pricing has plummeted around 50 percent across the board. The days of $3,000/MHz are long forgotten and empowered customers are driving prices below $1,000/MHz. Double-digit revenue drops for satellite operators are the norm as they reduce prices to stay competitive and maintain acceptable fill rates. The unwavering laws of supply and demand appear to be holding steady. All the while, far on the horizon, are the audacious plans of non-geostationary HTS (NGSO-HTS) systems. Regardless of the many controversies around the economic viability of these systems, their deployment could profoundly impact the market. The recent increase in global satellite bandwidth supply via HTS systems from around 500 Gbps to 1 Tbps has led to a 50 percent drop in prices. A sudden increase of 10s of Tbps as promised by these NGSO-HTS systems will have a profound impact on bandwidth prices and the business model of all satellite operators. 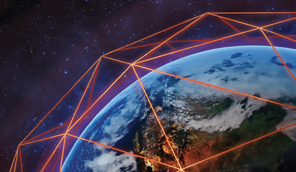 Rather than attempt to play in these contentious markets, Kepler has placed its initial focus on providing a wideband connectivity to niche and underserved markets. For instance, there are gaps in connectivity for organizations that operate predominantly at the poles. At extreme latitudes, mountains, trees, rolling sea waves, and ultimately the curvature of the Earth, cause intermittent or permanent blockage of GEO satellites. Due to poor GEO coverage at the poles, there does not exist the same race-to-the-bottom for bandwidth pricing. The bulk of Kepler’s early pilots have been maritime operators — icebreakers, scientific vessels, and cruise ships — that seek a wideband data service that they otherwise cannot get for their polar operations. For vessels, a key challenge has been a lack of available deck space for new antennas. To solve this challenge, as well as to reduce the cost of hardware, Kepler developed its connectivity service to be backwards compatible with off-the-shelf Ku-band VSATs. In addition, as most modern ships have two or even three VSATs on board to provide redundancy from antenna shadowing, Kepler’s service is able to leverage the secondary or tertiary antennas. Effectively, this gives ship operators the ability to add a wideband store-and-forward service while maintaining real-time connectivity on GEO satellites. This past year also brought Kepler a number of new collaborations with antenna manufactures, including a demonstration with Phasor’s flat panel antenna technology communicating with our smallsat. Widely believed to be a necessary technology to fully leverage NGSO-HTS systems, there are also some early use cases for operations in very extreme environments where lack of mechanical actuation on high-gain VSATs is an important value-add. Through the demonstration, Kepler and Phasor demonstrated 10 Mbps uplink, 20 Mbps downlink to a nanosatellite. In parallel to the offered wideband data services, Kepler continues to make strides toward developing a cellular-like narrowband connectivity service for Internet of Things (IoT) devices. Although terrestrial infrastructure for connecting IoT devices is widespread, a key challenge is connecting a single device across borders and regions because of disparities in frequency and network technology. More specifically, there are around 50 LTE frequency bands used globally, with no single wireless module capable of connecting across all networks. Network technology is also inconsistent between countries. 2G (GSM) networks are being shut down across a number of countries despite the technology’s benefits for low-bandwidth IoT connectivity. The recent LTE Cat-M1 and Cat-NB1 standards are intended to replace the loss of 2G for IoT devices; however, telecom operators remain inconsistent in their roll-outs. U.S. network operators have shown a clear preference for LTE Cat-M1, whereas Europe and China are beginning their rollouts with Cat-NB1. Solution providers building IoT devices and networks are, therefore, unable to ensure that their products will have seamless, globally available connectivity. A satellite-enabled solution is required to deliver seamless IoT connectivity, but considerable engineering challenges in delivering a compelling service are present. User equipment must consume very lower power, be low-size as well as have bi-directional and MB/month performance capabilities. Of course, this must be delivered for below $50 in hardware costs and around $1 to $2 per month in airtime fees. To tackle these hurdles, this year Kepler partnered with the UK’s Satellite Applications Catapult to collaborate on a narrowband technology demonstration satellite – TARS. This spacecraft will deliver S-band connectivity to user devices and make use of their wideband Ku-band link as the gateway backhaul. The backhaul capability is critical, as this allows to drastically increase how many user devices can be served by a single satellite. In the latter portion of 2018, Kepler announced a successful completion of a $16 million Series A round of financing. This round was led by Costanoa Ventures and included participation from Deutsche Bahn’s (DB) Digital Ventures as a strategic investor. DB’s investment came because of a need within their business units for IoT connectivity services which can be served through Kepler. With 2019 on the horizon, Kepler aims to enhance the value proposition of their store-and-forward service as well as moving towards early trials of an IoT connectivity solution. Kepler plans to develop the capabilities for a wideband LEO-GEO hybrid offering, giving customers the ability to dynamically optimize bandwidth and save cost by routing data through either a store-and-forward LEO or a real-time GEO link. In the second half of 2019, Kepler will be launching TARS, the firm’s first satellite dedicated to providing trials of its narrowband connectivity service. This upcoming year will also begin development of the company’s GEN1 constellation, which will begin launching closer to 2020 and will be dedicated to wideband data services. As small satellite constellation missions require flexible and scalable capabilities, there are clear advantages of using an existing ground station network transformed into a globally integrated “ground station cloud” as opposed to the traditional ground station networks primarily designed to support the needs of one or few satellites with consistent contact needs. Cloud computing is defined as “ubiquitous, on-demand access to a shared pool of configurable computing resources.” Applying this paradigm to existing ground station network architecture improves applicability, effectiveness, and user-friendliness for small satellite constellations. 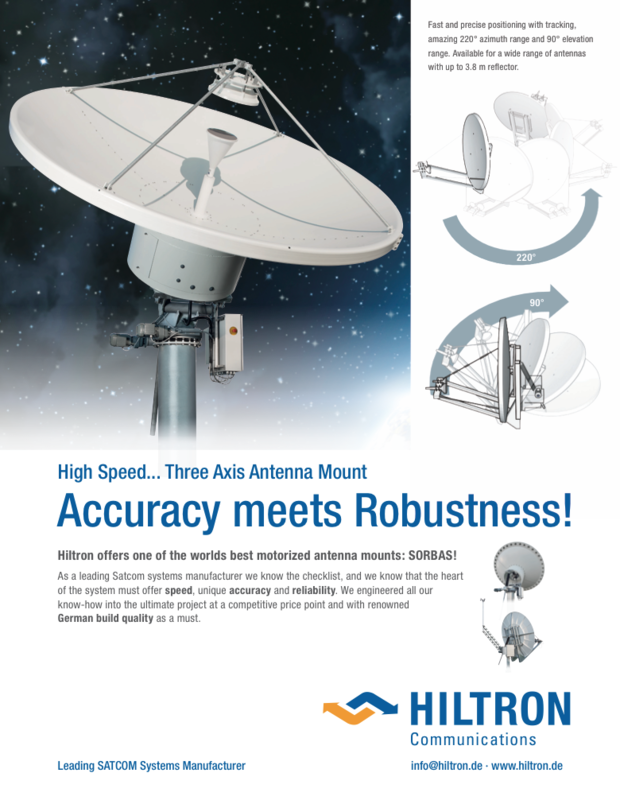 The use of existing multi-mission antennas in established ground station networks has been the first step in this direction, and has overcome initial challenges inhibiting satellite-agnostic operations such as configuration and compatibility concerns. Fortunately, recent advances in low-cost TT&C and payload reception architectures (e.g., Software Defined Radio – SDR, etc.) have now made it possible to provide a true multi-mission ground station network as a cloud — enabling support of any satellite at any time from any ground station for the first time in history. The ability to support many satellites from such an integrated network enhances the user abstraction level, allowing satellite operators to request data coverage (in addition to specific ground station passes), in turn leaving detailed mission planning to the Ground Station Cloud. Applying the NewSpace constellation data-centric approach, the “Ground Station Cloud” (realized through the existing KSAT Lite network) provides a global, easy-to-use and omnipresent ground station solution enabling Big Data applications. KSAT’s High-Arctic Svalbard Satellite Station. Photo is courtesy of Reuben Wu. KSAT has built the world’s largest NewSpace ground station network through a lean innovation process, with input from satellite owners and operators. Now satellite owners can access their satellites from any world continent through the integrated KSAT global ground station network. KSAT’s ground network is designed so that the customer can schedule all needed satellite contacts over the Internet, via Machine-to-Machine (M2M) or human-to-machine (via web portal). Once scheduled, KSAT downlinks and brings the data to storage on-site and then immediately to any cloud service such as AWS, Google Cloud or the users’ own service installation from anywhere in the world. This network also supports different levels of processing — through any combination of cloud-based equipment, or KSAT-provided or customer-provided equipment on site. KSAT has continued innovating our ground station technology, giving a truly global satellite coverage accessible through the cloud, with data delivered through various processing options to the storage location of choice. KSAT has in just over a decade taken the position as the world’s leading ground station provider in the LEO satellite market. KSAT currently has more than 20 ground station sites around the globe and has apertures on all world continents. KSAT owns and operates uniquely positioned ground stations spanning from 78 degrees north in Svalbard to 72 degrees south in Antarctica. Between five different sites in the Arctic and the one in Antarctica, KSAT has 14 additional sites located in the more mid-latitude regions. The KSAT goal is that customers can access their satellite from anywhere, anytime. KSAT`s core business is the ground segment, and KSAT delivers ground station as a service so that the satellite owners and operators can focus on their core business — data, data analytics, and providing information to their customers. KSAT has therefore approached the market designing solutions that enables a “plug and play” approach for the satellite operators, which at the same time enables flexibility of technical design for the end user. Due to the company’s experience in this sector, KSAT has been able to implement customer-centric business models at attractive prices, which for new companies is often just as important as the technical solution. From the beginning, KSAT understood that optimizing solutions for constellation support was crucial to meet a new mindset in the industry. As many companies first considered COTS and DIY approaches, the challenges around high investment costs, securing international laws and license, little or no onsite support, and unreliable hardware quickly reinforced the value of having an integrated ground network commercially available for the industry. With our expertise, we were able to meet the industry need by integrating our capabilities in procuring validated hardware through capital-intensive investments, securing international communications licenses, and maintaining a highly-skilled engineering support team at all of our sites. Given the trend of technology, KSAT approached building the company’s global ground network with the goal of enabling the customer to buy ground station services in the same fashion as they buy any other cloud service. Now that the firm’s network is in place and constantly expanding, customers can acquire cost-efficient services, while still expanding the data volume passing from spacecraft to the cloud, and experiencing lower latency. The KSAT system comes with an “out of the box” Interface Control Document (ICD) on how to interconnect to KSAT antenna systems. The ICD also list several options to customize the systems to accommodate a certain degree of flexibility — but just enough to keep it cost efficient. The KSAT system was designed to standardize ground support, while at the same time allowing a high degree of flexibility — balancing requirements to achieve a plug-and-play and one-size-fits-most solution. The KSAT system includes fully integrated baseband units, which support a variety of the most used modulation types and protocols. As an alternative, KSAT does allow users to “bring their own devices” to interconnect to the KSAT network, if that architecture better fits the operational needs and technical design. Whichever solution the user chooses to implement, it is all accessible over the cloud. With the ease of set-up and scheduling, KSAT is able quickly to respond to customer needs to provide the needed satellite access time from a global network in just a matter of days. With now dozens of constellations of smallsats, the value of open, standardized platforms is clear. In a capital-intensive industry, it is crucial to leverage benefits of economy of scale in both hardware and expertise. The KSATLite network, in establishing a cloud-based service for satellite communications, allows satellite operators to seamlessly transfer data from space through processing algorithms and on to the end-customer in record time. By offering an advanced capability on a scalable platform, KSAT has further opened access to space, enabling new missions to succeed in a fast-growing industry. Big Data is clearly driving the need for new communications infrastructure and data volumes are exploding. Global networks are already carrying more than 1 Zeta Byte of traffic globally and this is forecast to grow exponentially. This is having a significant effect on the communications industry, with the need to invest in and deploy appropriate infrastructure, particularly as current satellite solutions remain suboptimal for data and are generally seen as a last resort. The company believes that fast, reliable and ubiquitous data connectivity will fuel growth for businesses worldwide. The LeoSat solution is to take data networking into space, and in doing so, set a new bar for ultra-secure, high-speed connectivity. 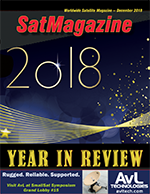 2018 has been a key year for LeoSat, having achieved a number of significant milestones for the company that have included securing investment from Hispasat and SKY Perfect JSAT and gaining approval from the FCC to operate our constellation in the U.S. , commitments for the company from customers and resellers total more than $1 billion. Significant progress on the journey to deliver the world’s first business backbone in space, to open new markets for data networking for enterprise, telecoms and government communications across the globe, all is well underway. Hispasat, the Spanish national satellite operator, invested in LeoSat. Hispasat is one of the only global satellite operators to have achieved continuous growth over the past years, thanks to a strong focus on innovation and smart long term investments. With this investment, Hispasat has found a perfect complement for their geostationary fleet with the ability to expand its scope significantly toward new verticals that will define the data market over the coming years. This investment underlines Hispasat’s firm belief in the unique attributes of LeoSat’s new Low Earth Orbit (LEO) network architecture to ensure further growth in the future. Combining advanced on-board routers with inter-satellite laser links, LeoSat is creating an optical backbone in space, providing fiber-like low-latency and gigabit per second data delivery which is ultra-secure and extremely resilient, thanks to its gateway independent meshed-network data-connectivity from transmitter to receiver. This solution will provide valuable new business opportunities in the growing data and mobility markets in sectors such as telecommunications, multinational enterprise, maritime and government services by ensuring previously unavailable levels of network performance combined with worldwide reach. Concept image of LeoSat’s backbone in space. LeoSat was recently awarded the authority by the U.S. Federal Communications Commission (FCC) to provide NGSO (Non-Geostationary Satellite Orbit) services in the United States. The FCC market access grant will allow the company to address currently unmet demand for high-bandwidth, low-latency, high-security data transmissions from large commercial and government customers in the United States. Designed as a backbone in space for global business, the data network will enable new opportunities for sectors such as enterprise-to-enterprise communications, telecommunications, oil & gas operations and maritime services, delivering premise-to-premise high-speed data (greater than 1 Gbps) with unmatched security to any location in the world. Moreover, while our core focus is solving essential business communications challenges, the unique design of LeoSat’s constellation means capacity will also be available to enable a new level of connectivity services for internet and cellular backhaul for remote and underserved communities. Getting approval from the U.S. Federal Communications Commission – among the world’s most sophisticated radio frequency regulators – is an important milestone for LeoSat and recognizes that we have a unique solution for high-speed and ultra-secure enterprise connectivity. Earlier this year, LeoSat entered into an agreement with Phasor, the developer of leading, enterprise-grade electronically-steered antenna (ESA) systems, to develop a powerful Ka-band, NGSO–ready version of their breakthrough low-profile ESA, scalable to virtually any use-case requirement to provide high-speed, low-latency, ultra-secure, Ka connectivity infrastructure to corporate, government and commercial markets, offering speeds about 1.5 times faster than terrestrial fiber. Phasor’s very low profile, electronically steerable antenna enables the reliable, robust delivery of high-bandwidth services. The antenna is solid-state, with no moving parts, allowing satellite signals to be tracked electronically. The ESA can be flat or conformal in design and can be fitted seamlessly to moving vehicles, enabling a number of applications for maritime and mobility markets. This year, pre-launch commitments that span a wide range of fast-growing data and mobility sectors have been received by LeoSat from customers and resellers for more than $1billion. With the ever-growing demands of managing Big Data and Cybersecurity, global enterprises now — more than ever — need instant infrastructure from anywhere to everywhere that is fast, secure and reliable. For companies such as DCS Telecom, Globecomm and Signalhorn, who will provide innovative connectivity solutions, LeoSat is helping these firms to open-up new markets and deliver business growth. While the perception of satellite for data communications has been seen as a last resort, LeoSat will change that belief by pairing the speed of fiber with the ubiquity of satellite and adding a new dimension of ultra-security, bringing a paradigm shift in expanding the existing satellite services market. LeoSat can fuel worldwide economic growth by offering customers the fastest, most reliable and secure global infrastructure for data communications. These commercial agreements demonstrate LeoSat’s progression from a new networking concept to a unique solution which resonates with customers and has also attracted the aforementioned backing of leading satellite companies. With capabilities beyond satellite and fiber, LeoSat’s unique infrastructure is what data communications has been waiting for — a game-changing service which realizes the synergies of both worlds to re-define connectivity in terms of capacity, latency, security, efficiency and coverage. For 2018 and beyond, significant interest in the LeoSat constellation will continue to be seen. Resilient and future-proof networking to deliver connectivity and new services and the opportunity to tap into the broader data-communication market outside and beyond the traditional SATCOM market will be realized. Mark Rigolle joined LeoSat as CEO in September of 2015. He has more than 22 years of experience in the telecom and satellite sectors. Between 2004 and 2009, he served as the CFO of SES. He was then appointed CEO of O3b Networks, successfully raising $1.2 billion to fund the launch of a MEO constellation of satellites that provide affordable trunking and mobile backhaul capacity in developing countries. In addition, Mark has acted as advisor to satellite operators and private equity funds, as well as being a co-founder of Kacific, a promising satellite-broadband-to-the-home start-up. Mark has held various positions in Finance and Business Development at Belgacom and ABN AMRO. He holds a Master’s Degree in Economics from the University of Leuven, Belgium.